Seeking a working definition of leadership is one thing, but seeking examples of defining leaders can be more valuable. We embrace the familiar adage, “more is caught than taught,” because many of us are visual learners. We have to see leadership in action and not just read about it or talk about it. Defining leaders are men and women who have a knack for doing what is right. They also do what they say and they say what they do. Words and deeds must match up for a leader—and when they do, you will have a change agent to contend with. This is why so many people consider Dr. Martin Luther King Jr. to be one of the most defining leaders of his time, or anytime for that matter. This Baptist minister, hailing from Atlanta, Georgia, walked the talk and talked the walk when it came to engaging America in the quest for civil rights through nonviolent passive resistance. Martin Luther King grew up in a home where education and community involvement were highly prioritized. While concluding his doctoral studies, he accepted the pastorate of Dexter Avenue Baptist Church in Montgomery, Alabama. From this small church, a twenty-six-year-old King was thrust onto the national stage to lead the historic Montgomery Bus Boycott. The older ministers in the city found King to be the most qualified candidate to lead the burgeoning movement. It’s been said that success happens when preparation meets opportunity, and since none of us know specifically when a life-changing opportunity will present itself, it would behoove us all to be ready. Being prepared for your moment allows you to be spontaneous without being sloppy. When what was arguably Dr. King’s personal apex during his “I Have a Dream” speech in 1963, he deviated from his written notes when Mahalia Jackson beckoned for him to tell America about the dream he had. For a person to speak extemporaneously as King did at that pivotal moment in history, and to do so with ease and excellence speaks to how well prepared he actually was. Apparently, that speech never had an official title, but once he finished climbing to heights of unmatched oratorical prowess, everyone knew what to call it. Being prepared for your moment allows you to be spontaneous without being sloppy. Although Dr. King and Rosa Parks were the most well-known faces of the civil rights movement, Dr. King knew that he could not be successful on his own. It took thousands of ordinary people working in the trenches to see redemptive social change occur in our country. King was known to confide in his inner circle of fellow clergy and friends before launching out with new initiatives. He understood that a plan works best when many people get to weigh in on the plan. 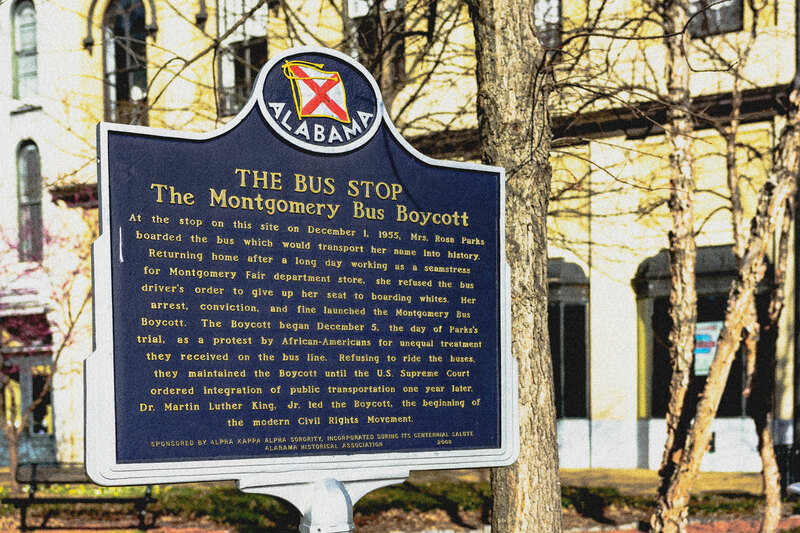 When King’s efforts hit a roadblock in Birmingham, he and his cohort knew they needed considerable wisdom to overcome Bull Connor’s tactics of resistance. At this point, one of King’s aides suggested that they incorporate children into the protests. King listened to the idea and agreed to implement it. As the world watched fire hoses and police dogs turned lose on the protestors and their children, America suddenly developed a conscience it had never had before. By working collaboratively, segregation would soon be dethroned in Birmingham. Martin Luther King once said, “If a man has not discovered something that he will die for, he isn’t fit to live.” Even though King’s feet were made of clay, he somehow found the courage to keep marching on in spite of the house bombings, multiple arrests, and daily death threats. By watching Dr. King, we see that courage is not the absence of the fear. Rather, courage is the capacity to accomplish what is necessary in spite of your fears. King once said that a leader must know when to be a consensus leader and when to act on conviction. As mentioned earlier, collaboration is a prerequisite to successful leadership, but there will come a time when a leader will have to act on an internal conviction that others will not have, agree with, or understand. When King decided to incorporate non-violent methodology into the philosophy of the movement, many black people during that time thought he was being a coward. When King mustered the courage and conviction to speak out against the war in Vietnam, many Americans thought he had crossed the line. From King, we discover that brave leaders are willing to stand alone if they have to, as long as they believe in their heart of hearts that God is standing with them. Beyond traveling extensively to countries such as India, South Africa, Ghana, and Israel, Dr. King also traveled to Oslo, Norway in 1964 to receive the Nobel Peace Prize. In his acceptance speech, King said, “Negroes of the United States, following the people of India, have demonstrated that nonviolence is not sterile passivity, but a powerful moral force which makes for social change.” Any student of Martin Luther King Jr. knows that he learned the methods of nonviolent passive resistance from the teachings of Jesus Christ and the example of Mahatma Gandhi. By watching Dr. King, we see that courage is not the absence of the fear. Rather, courage is the capacity to accomplish what is necessary in spite of your fears. King was not afraid to turn his local pulpit into a global one, especially concerning his opposition to the Vietnam War. King once preached, “We are taking the black young men who had been crippled by our society and sending them 8,000 miles away to guarantee liberties in Southeast Asia which they had not found in Southwest Georgia and East Harlem.” King reminds us that the most effective leaders have their eye on the local scene as well as the world stage. In its January 1964 issue, Time magazine named Dr. King, “Man of the Year” based on his efforts in 1963 of helping to dismantle segregation in the south. By the time of his death, Dr. King received hundreds of awards for his work in civil rights, but in spite of all of his accomplishments, he never stopped reaching out to disenfranchised people. Few leaders will continue reaching downward as they find themselves rising upward. No wonder Jesus saw the need to teach that the greatest among us should be servants (Matthew 23:11). Like Jesus, servant-leaders are intentional to incarnate into the impoverished world of the underserved. While consistently making the journey to live in community with the weak, the servant-leader knows that he or she will gain far more than he or she can ever give. When Martin Luther King was assassinated in Memphis, Tennessee on April 4, 1968, he went to that divided city in order to stand up with and for striking sanitation workers. America’s “Dreamer” and the Time “Man of the Year” died serving poor people who had to fight for their dignity by protesting with signs reading, “I Am A Man.” Would you have gone to Memphis? Would you have traveled without police protection and stayed at a meager motel even when you knew your life was in danger? Servant-leaders stay on mission because they place the needs of others above their own. A great book to see King’s servant leadership qualities put in motion can be found in his first book, Stride Toward Freedom: The Montgomery Story. We all know that words have power, but words put into action have even more of a capacity to change hearts, minds, and unjust systems. Being a definitive leader will not always be easy. In fact, it will always be costly. But Dr. Martin Luther King, Jr. shows us that it will always be worth it.